After the Sci-Fi focused VII and VIII, Square decided to go back to it’s fantastic roots for a remembrance of Final Fantasy as it was. Also unlike the last few games before it, the plot takes a turn for more light hearted affair akin to FFV (at first anyway). You are a thief who’s beginning mission is to kidnap the princess under the guise of a performance of the region’s most beloved musical, but it turns out the princess wants to be kidnapped and the operation runs into a snag. Some of the more beloved characters in the series are introduced in this game, such as the cute little Black Mage Vivi. Luckily the localization effort is also at it’s best with this title, with only a few side references screwed up. FFIX is littered with little extras and references to older FF games everywhere but it’s done right, in a way that doesn’t always yell at your face that this is a reference. Some are references we couldn’t even get at the time because they were of games we never got (or was never translated correctly in the game it’s referencing, such is the case with Oeilvert) and some take a good while to catch. 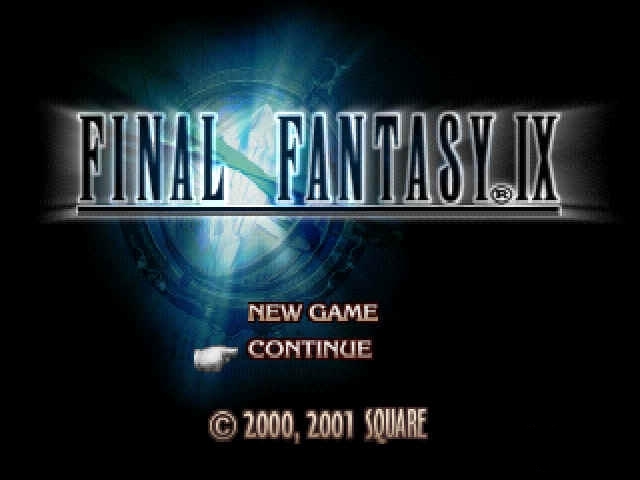 That’s not to say this isn’t enjoyable without playing another FF game, far from it actually. But it’ll make your experience better. Through all this IX’s own plot is still kept in check! This game uses an active time event system, in which other small plot moments will take place during yours, and the select button will trigger a menu to see them. The order of seeing them is key, because some will either lead to others or erase everything else on the list. The gameplay itself is a bit more like FFIV: Every character has an archetype of a Job usually known in the games, and their own abilities to go with it. This time however, there are many to be used through equipment instead of leveling up. Each item has at least one ability usable while it’s equipped (and enabled when talking about support abilities). Gain the required AP amount while using that equipment, and the abilities laden within become open for permanent use. Limit Breaks are no more and are replaced by Trance: a meter that builds up when a character is hit, and when it reaches it’s peak the character transforms into a more powerful form with enhanced abilities. Unfortunately, as is rightly criticized battle is extremely slow though pretty looking. Loading times are more of a slog in this one, battle speed itself is slower than the previous games, and the better abilities are more flashy and long. Most of the enemies of this game make for fun fights, just at a snail’s pace. Trance also has a habit of being unleashed at the completely wrong time. Since the main character is a Thief, of course there are a lot of things to steal and adventure about with. Every boss has a couple of unique items to them for stealing. IX’s sidequests and extras also number to an absolutely staggering amount. Chocobo Hot-And-Cold (with Chocograph treasures in certain places of the map, that have all sorts of extremely powerful treasures), card games, hidden mountain cave stashes, little details to spot out, synthesis shops that craft together older items, Zodiac-themed Stellazio, a special weapon for getting close to the end of the game in 12 hours, all sorts of little hidden prizes for being at the right place at the right time. The game even grades you on how good of a treasure hunter you are! The last PS1 title is a pretty good send-off for all of the franchise before it, though it has some flaws. Funnily enough, this is also the second-to-last mainline game put out before Square merged with Enix (X was released only three months before the merger happened).